While in Italy, one economical way to stay connected on your mobile is to purchase an Italian SIM card. A vacation should be a time to getaway and relax and leave the hustle of everyday life behind but that doesn't mean that we can’t stay connected to our friends and family while travelling. Often keeping in touch, while in a foreign country, can be difficult with the rising cost of international data plans and unreliable connectivity. One way to ensure that we can steel keep in contact with our lives back home is to purchase an Italian Sim card when we land in Italy. By purchasing the SIM you will have your own Italian phone. Purchasing an Italian Sim card is an easy and inexpensive way to be able to have full use your cell phone while travelling throughout Italy. Roaming plans and data usage costs can be outrageous and can cost traveler’s hundreds of dollars, often unexpectedly, on top of the cost of their travel expenses. By purchasing an Italian Sim card, visitors can monitor these costs and save some money In order to be able to utilize an Italian Sim card, you must have an unlocked phone that supports the GSM 900 and GSM 1800 frequencies. A Sim card can also be purchased for your iPad. Sim cards can be purchased online, prior to leaving home or you can buy a card once you arrive in Italy. They can be purchased at most convenience stores, grocery stores, some bars, restaurants coffee shops, certain ATM machines or directly from the provider themselves. All that is required is a passport or EU identification card and you can be signed up immediately for either a pay as you go plan or for a monthly plan depending on the length of your stay and your personal needs. There are numerous different packages and plans that can be purchased, depending on the provider you choose that will meet your calling, texting and data usage needs. There are four major service providers in Italy and these are Vodafone, Wind, 3 and Tim. All if these providers provide relatively the same level of service but it is always recommended that you look into your company of choice first, to make sure they offer everything that you want and at a price that's reasonable to you. 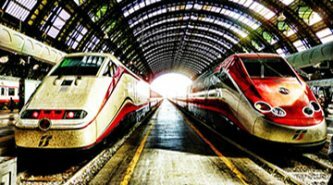 It is also important to make sure that you will have reliable service wherever you travel throughout Italy. Most providers offer service in the major city centers and tourist areas but some may not have coverage throughout the countryside or in more rural areas. Take the time to review their service coverage map before signing up for their service. Purchasing a Sim Card to use while in Italy is a very smart way to save money on your trip while still being able to use your mobile devices just as you would at home. These cards are inexpensive to purchase and the rare plans and data plans offered by Italian service providers are very reasonable. Why not save yourself the expensive roaming charges and long distance rates that can be incurred using your overseas phone company and put some extra money in your pocket! Now that's a bueno idea!